Accommodating the smallest to the largest affair, Pedestals Floral Decorators offer a professional touch of excellence, guaranteed satisfaction, and personal attentive service. With their talented staff of floral decorators, they can create an aura of elegance for your special day. Consultants will assist you in designing an event that will reflect your unique taste and style. 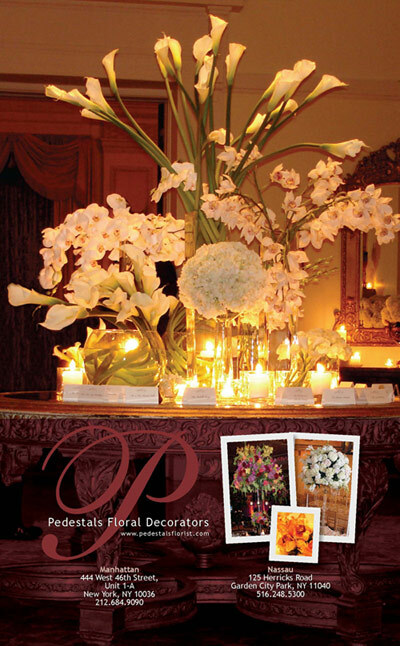 At Pedestals they are dedicated to making your event an affair to remember.